The IFPC Inc 2-I Multi Mission Launcher launches a Longbow Hellfire missile against a UAS representative target on White Sands Missile Range. The MML is a new air defense system undergoing testing on WSMR to integrate new control systems and missiles. The State Department has made a determination approving a possible Foreign Military Sale to the United Kingdom for Hellfire missiles. The estimated cost is $150 million. The Defense Security Cooperation Agency delivered the required certification notifying Congress of this possible sale today. 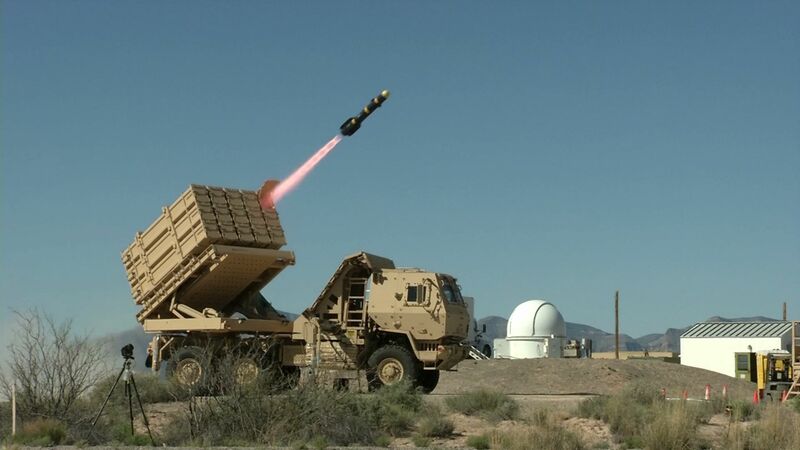 The Government of the United Kingdom (UK) requested a possible sale of 1,000 AGM-114-R1/R2 Hellfire II Semi-Active Laser (SAL) missiles with logistics support services and other related program support. The estimated cost is $150 million. This proposed sale directly contributes to the foreign policy and national security policies of the United States by enhancing the close air support capability of the UK in support of NATO and other coalition operations. Commonality between close air support capabilities greatly increases interoperability between our two countries’ military and peacekeeping forces and allows for greater burden sharing. The proposed sale improves the UK’s capability to meet current and future threats by providing close air support to counter enemy attacks on coalition ground forces in the U.S. Central Command area of responsibility (AOR) and other areas, as needed.The UK already has Hellfire missiles in its inventory and will have no difficulty absorbing these additional missiles. There is no principal contractor for this sale as the missiles are coming from U.S. stock.